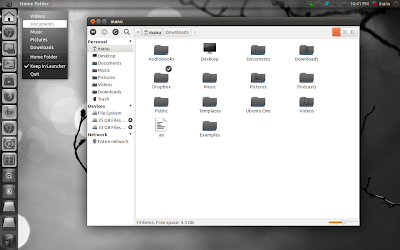 Awoken Icon Theme was among our collection of top 10 icon themes for Ubuntu and it surely is one among the best free icon themes available for Ubuntu GNOME desktop. Awoken 2.0 was released few days ago and the latest update brings with it a new customization script, many Ubuntu 11.04 specific improvements and updated PPA for Natty Narwhal as well. Comes with a really useful customization script. Better Ubuntu Natty support: gnome-workspace, kjobviewer, preferences-system-time, battery-good-charging, logviewer icons included. PPA support for Ubuntu 11.04 Natty Narwhal. New supported applications include Google Chrome, Ubuntu One, Foxit Reader, TOR, Fotowall, Fotoxx, Handbrake, Midori, Minitunes, Minitube among others. How to Install Awoken 2.0 in Ubuntu 11.04 Natty Narwhal? Open Terminal and copy-paste the following commands. Now to open the Awoken customization script, run the command in Terminal. Done. More details on Awoken 2.0 and its customization script can be found here. Hope you liked the update. Now, if you like Awoken icon theme, you need to definitely check out this beautiful Elegant GNOME Theme Pack which uses a modified Awoken based theme as its icon theme. The whole package looks really pretty IMO.